Every time you release new music, it gets harder for us and you know it, know it, know it! 5 Seconds of Summer are back with their second single ‘Don’t Stop’, following the incredible success of their debut single ‘She Looks So Perfect’, which gained a number one spot in 39 countries and we LOVE their newest single! The Australian band, made up of Michael Clifford, Ashton Irwin, Luke Hemmings and Calum Hood burst onto the music scene after playing an array of shows – however, they sky-rocketed to stardom after touring with British-Irish boyband One Direction. We have been following the 5SOS journey before the lads became the pop-rock phenomenon’s they are today and it’s no surprise that they are causing hysteria, leaving girls and boys alike crying, shaking and even swooning over the teen heartthrobs who have stolen their hearts. But 5SOS aren’t your typical boyband, but that’s why we love them, they each play their own instruments and are bringing back the revival of pop-punk music to the masses breaking the mould and being a band for everyone to enjoy! 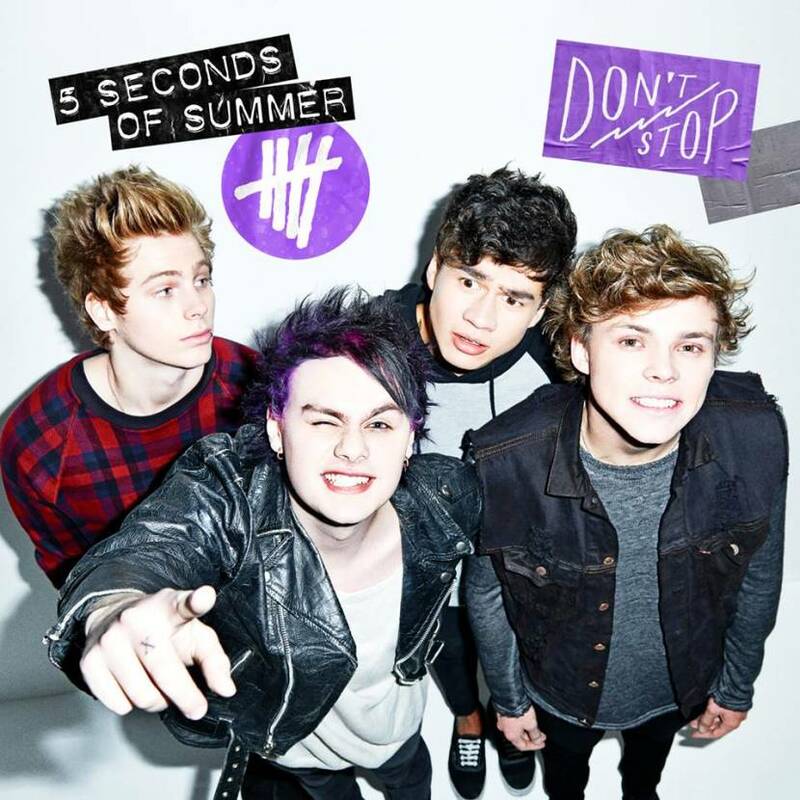 Don’t Stop is instantly memorable and the mix of infectious lyrics and perfect vocals have left us signing along for hours on end, it will get you dancing around your room, head banging in the car and even singing it in the shower, it’s a great summer song and will leave you in a great feel good mood. This is incredibly catchy tune teamed with the music video shows 5 Seconds of Summer’s fun personalities and the idea that they don’t take themselves too seriously as they adopt superhero persona’s to help the world: Dr. Fluke (Luke), Mike-Ro-Wave (Michael), Cal Pal (Calum) and Smash (Ashton)! Their good deeds range from helping old ladies cross the road, litter picking, saving kittens and beating up ninja’s to save the ‘damsel in distress’ all whilst wearing tights… Oh yes girls, tights! Don’t Stop is available NOW! And 5SOS’ debut, self-titled album is available for pre-order!